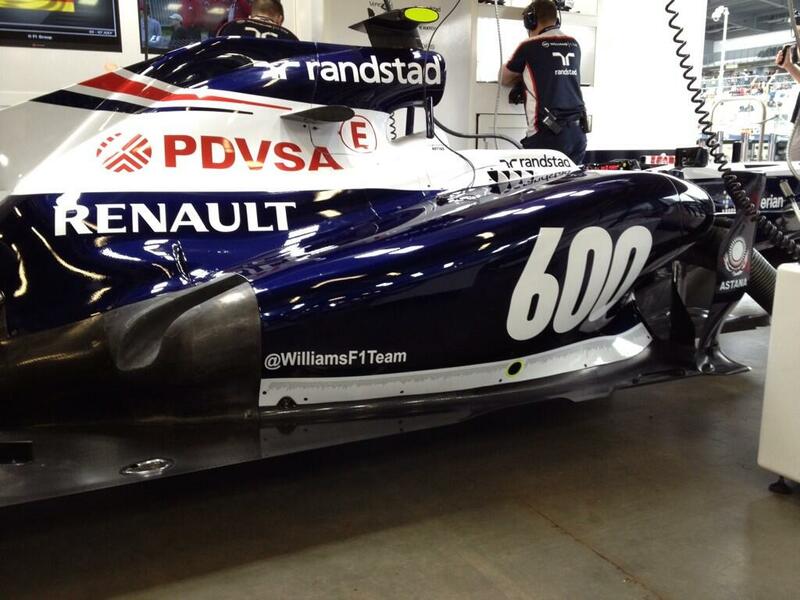 This weekend's German Grand Prix will be Williams 600th. It all started at the 1978 Argentine Grand Prix with Alan Jones at the wheel. The team has won 9 constructors championships, 7 driver's championships and 114 races. Williams have struggled in recent years but most British fans have a soft spot for the team and hope they will rise again. Here's their livery to celebrate William's 600th race.